Please login to myVOB.com with your login (email address you used to sign up) and password to create your special offer! Is your business owned by a military veteran, active duty or military spouse? Call us now at (800) 517-4130 or locally in Melbourne Florida (Brevard Co.): (321) 821-SITE for up to 25% off website design, graphics, web development, Search engine optimization (SEO), SEM & affordable printing services. Special 10% discount for active duty military, veterans, spouses of veterans and active duty and all our military families on moving and auto transportation services and boat transportation services. Customers may enjoy 15% off one item in-store with a minimum purchase of $35. EXCLUDES FIREARMS. All state & federal laws apply to all products. VOID WHERE PROHIBITED. Offer expires 12/31/16. Vistra Communications LLC. Listed in SAM. Cage Code – 549G4 DUNs Number – 796891443. SBA 8(a) Certified and CVE verified SDVOSB. We have special rates for veterans, active duty military and military families. please click the "contact this business" button above which will send us an email. Employers; Post Jobs and Search Resumes... for FREE! Job Seekers: Post Resumes and Search Jobs.... for FREE! Complete one of our Corporate Traveler Profiles, and enjoy the following benefits: Personalized Travel Service, Global Reach, Group Travel, and Corporate incentives. R Processor provides Merchant Services and point of sale equipment. Our Sylvan Learning Center provides many pre-paid and financing options, as well as a 5% discount on programs and $25 off student assessments for Military/Veteran children and grandchildren. Advantages of working with Accentuate Technology include: competitive pricing, excellent customer service, prompt delivery, quality products/services, superior and consistent performance and much more. Click "more info" to view our full capabilities statement! The first 10 clients that purchase a package using the Coupon Code VOB25 will receive a 25% discount on their organizing package. Go to www.MajorOrganizers.com to review services and package details. Call for a free estimate and have a Majorly Organized Day! We show our appreciation for our Veterans by offering $250 off of a new roof install. Please mention your Veteran status when talking to Brent or Steve. We are proud to be a member of the USAA Real Estate Rewards Network. Our company has been chosen to represent veterans through the USAA the network. For anyone interested in Real Estate in the Shasta, Tehama or Butte Counties of Northern California. Call us at 530 221-7550. At Roeder Mortuary, "Our Family, Helping Yours," is more than just a fancy slogan. It's how we do business. We believe that independence, fairness, professionalism, and integrity are necessary ingredients in building a relationship of trust with our families. Semper Fi Homes helps veterans like you make the process of selling or buying a home as smooth as possible. Selling a home? You can rely on our expert marketing and nationwide network of Real Estate Professionals. In the market to buy? VA and First Time Home buyers are our specialty. $79.95 OFF w/ FREE Internet Marketing Evaluation! Be Seen Front Page On Google & Bing In 7 Days Or Your Money Back! Give your internet online marketing strategy the boost it needs with Direct Placement® on Google or Bing. Veterans receive a FREE marketing evaluation and $79.95 off account creation. Call 1-800-339-0544 to learn how! Best of Staffing 2018! What does Best of Staffing mean to us? Partnership, Integrity, Quality and a Win-Win for all. See what else our team has to say about winning for the 5th consecutive year! Click here to learn how you can earn a Free Dinner for trusting Bob Jakowinicz - Realtor. Livonia Michigan Area Real Estate Residential Services, Local Market Updates Relevant to Livonia, Novi, Northville, Farm Hills and surrounding areas. Over 45 years of successful accomplishments, and knowledge: Interviewing, Recruiting, New Business Development, Resumes, Staffing Organizations, Executive Search, Contingency Searches, Full-Cycle Recruiting and more. Jerry Air Heating and Cooling offers a 10% discount to all our fellow veterans. Backed by more than 20 years of experience, we service and install furnaces, air conditioners, heat pumps, and Wi-Fi thermostats for residential and commercial customers. Save money with new high-efficiency units! 2 Vets Auto is Ready to Service Your Vehicle...Offering 10% off parts and labor for our Veterans. Our Specialized Services Include: Alignments, Heating & A/C, Suspension & Steering, Modified Suspension, Brakes, External Driveline, Wheels & Tires, Road Force Balance. From our families to your family! We are a Veteran Owned, Board Certified Personal Injury Law Firm with offices in Dallas, Amarillo and Playa Del Carmen Mexico. 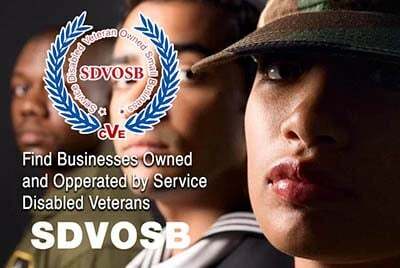 Please let us know when you contact us that you found us on the Veteran Owned Business Directory. SDVOSB company that manufactures proven, technology-based products designed to help prevent the possibility of dangerous, unattended cooking fires. Cookstop’s stove safety device shuts off an electric range or cooktop when left unattended. We have been in business SINCE 1988. We have ASE Certified Master Technicians on site. Every vehicle goes through a thorough safety inspection. Riverfront Dining: Lunch and dinner menus are created daily to offer our customers the freshest and best ingredients available. We offer a selection of specialty beers, fine wines and a full liquor bar. Greetings! We are a Veteran owned and operated business and our mission is to deliver premium CBD products to all veterans. Some veterans suffer from PTSD, joint pain, back pain, stress or anxiety. We offer CBD gummies, Vape, Oil Tinctures, lotions, pain salves and more! Minuteman Press Oceanside Opening Special! Minuteman Press Oceanside is a full service design and print service dedicated to promoting YOU! All veterans get 10% off all orders. In addition, to celebrate our opening we will take an additional 10% off your final order until Feb 1, 2019. 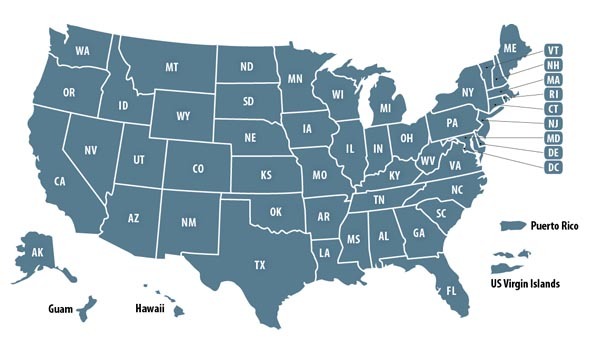 VetLaw is a national law firm exclusively focused on the practice of veterans law issues – we only work on behalf of veterans and their family members who have been denied VA benefits and are struggling to navigate through the VA appeals process. Are you tempted to get away? We're giving away $10,000 towards your next dream vacation! Visit the beautiful crystal blue waters of the Caribbean or enjoy a fascinating cultural vacation in Europe, the world is your oyster! Enter to win your $10,000 Vacation Temptation by April 15th, 2019. Thinking of Buying or Selling? Contact us to learn more about how much we can save you as a Veteran when buying or selling. What In The World Can We Do For You TODAY? We help organizations solve people problems! Our programs are people oriented and designed to take the learning out of the realm of theory and into the day-to-day challenges that the participants face. All of our programs can be tailored to the specific needs of you, our client. All military service men and woman are eligible for 50% off of their ticket price for any room, anytime. Please call us for more details, or to book your room! Houses, condos, apartments, offices. Termites, rats, bed bugs, flies, whichever your situation is, there is a specialist at Marlboro Pest Control. Call us to discuss cost-effective solutions custom tailored to your specific needs. We offer a 10% discount on our inspection services (home, wind mitigation, 4 Point, thermal and more) to fellow veterans, active duty military as well as fire fighters and police officers. Get your complimentary website analysis a $400 value. Learn what is working on your website and what changes can improve your site for customers searches in Google, Yahoo, and Bing. Is your website mobile friendly? Find out this and more with the analysis. Check out YourMilitaryDiscounts.com to see special offers, discounts, deals, freebies, coupons and more specifically for veterans, active duty military, reservists and military families. Some are only for Veterans Day; others are year-round! Realtor serving Wake and the surrounding counties. Choose from our patriotic gifts or from any other category. Use coupon code "VOB" during checkout to get an extra 5% off your order! 2% off your 1st Online order! 100 Day Inspection Guarantee. RecallCheck. SewarGard. MoldSafe. Platinum Roof Protection Plan. Full Concierge Service. Termite Protection Plan. Corporate Aviation, Charter/Air Taxi Services, Non-Owned Aircraft, Fixed Base Operators/Maintenance, Repair & Overhaul and General Aviation Services, Call us today for a comprehensive policy review. Veteran Owned Small Business Subcontractor of the Year at Kennedy Space Center, Special Recognition Award for emergent repairs to the active LC-39A Space Shuttle Launch Pad Flame Trench, and SafeWorks! Award to name a few. Save you up to 80% on your medication next time you go to your pharmacy, courtesy of LowerMyRx. Accepted Nationwide. Everyone Qualifies. No enrollment required. Save and Print your card instantly. We offer a generous discount for fellow veterans and active duty military. Mention you found us on VOB to get up to 20% off your next website design, web development, SEO/SEM, Social Media Marketing and/or printing project with us! Welcome to M&A Home Inspections. We offer home inspections, mold testing, radon testing, sewer scopes, thermal imagery, and drone inspections. We are certified, licensed, and insured. We offer 50% off to military veterans with military I.D. card. Cantact us for a free quote today. Give your Veteran Owned Business a new and affordable corporate identity makeover. Includes logo design, business cards, letterhead and envelopes. Mention you found us on VOB website for a special military discount! Get up to 1/2 (50%) off restaurant gift certificates at over 5,000 restaurants nationwide. Browse the list of restaurants today to view which one of your favorite restaurants offers 50% off! Particle is an open source blogging platform that features inline editing. It was built with designers, developers, and bloggers in mind. Paul Yanovskiy is the owner, a general contractor by trade, a carpenter at heart, and a perfectionist at core. Also, being a US military veteran, his duty for serving the people and nature of integrity guide him in leading the business with a trustworthy service and a solid reputation. Summer Breeze USA provides travelers with a quality, family-oriented, and first-class RV experience, complete with clean facilities, engaging amenities, and a friendly staff. We do this by creating resorts that are exciting, relaxing, and positive. $2500 Savings Guaranteed or I Pay You! $2500 Savings on Your Home Purchase Guaranteed or I pay you $500. Call us now (800) 272-0988 with Code 2078 to hear 24/7 Free recorded message. Not valid with any other offer or prior purchase. With this coupon only. Restrictions apply. We pride ourselves with Safe job sites that meet your expectations for Quality and on time delivery to keep you up and going. The tax laws changed. Now what? Our 57-Point Business Checkup saves you money... Guaranteed. All members of the Military Family receive discounted commissions and/or closing credits. As a Military Veteran or Active Duty Personnel, AmeriHome Inspection Services appreciates your service to our country and are offering a 10% discount off your Home inspection needs in Central Florida. No need to call for a quote. All prices are shown on our website. Latest SDVOSB and VOB News!